« Free Agency Report: Posluszny Headed to Jacksonville; Florence next to leave? On Tuesday night, Buffalo wasn’t able to hang on to Paul Posluszny as the free agent inside linebacker headed south to join the Jacksonville Jaguars. It was bad enough that the Bills were losing their best linebacker, but rumors began to surface via the web that they might be losing one of their best cornerbacks, Drayton Florence, to their rival New York Jets. Thankfully, Bills fans, we can breath a big sigh of relief. Drayton Florence will remain a Buffalo Bill. 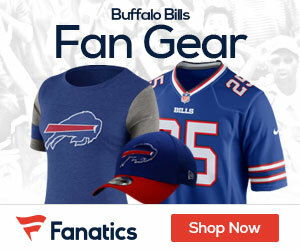 Florence and the Bills have agreed in principle on a three-year deal worth $15 million. One of the top corners on the open market not named Nmandi Asomugha, Florence opts to stay with Buffalo rather than jumping ship to join the New York Jets. It was reported that the Bills were in a bidding war with the Jets, who are preparing themselves to find an adequate replacement across from Darrelle Revis with the expected soon-to-be free agent exit of Antonio Cromartie. This has to be considered a big win for the Bills. Buffalo took care of a big priority by not only re-signing Florence but also keeping him away from the Jets. To lose both Posluszny and Florence from the defense would’ve been a tremendous blow. In 2010, Florence led the Bills’ secondary with three interceptions (his highest total since 2006) and tied for the team lead in defensive touchdowns. What do you think of the Brad Smith signing? Wanted my Bears to sign him. Hey Russ!! You caught me in the process of working on the Brad Smith signing. I’ve been in Wildwood, NJ until about 7pm Thursday so luckily I’ve had my iPhone to help keep me updated on things, but I’m finding an actual keyboard is moving things along better!! I’m kind of not sure what to think of it honestly. I mean he can do a number of different things, and I’d be shocked if he wasn’t able to help out an offense that’s, well, not been real good at being creative and scoring points. It’s curious where he fits in as far as wide receiver goes. Unless they’re planning to do something with Lee Evans, they’ll have Evans, Steve Johnson, Roscoe Parrish comes back from injury. Right there I’ve got him slotted no higher than No.3. I think we’ll be introduced to the Wildcat formation as well. I’m more concerned about the potential targets that all opted not to sign with the Bills: Willie Colon, Tyson Clabo, Jason Babin. They’re down to LB Kevin Burnett now and I think it’s a longshot he’ll sign here. It’s a shame. They were in hot pursuit of some guys, but it all adds up that they’re still not an attractive destination. It doesn’t help the Patriots and Jets are in the division, either.